Hammerhead Termite Control offers termite control in Big Pine Key, FL. Drywood termites can cause significant damage to your home or boat. Since they live inside of the wood that they are feeding on, it is almost impossible to determine their exact distribution and the extent of the infestation. Therefore, spot treatments are not very effective. Fumigation ("tenting") is the only method that ensures complete eradication of all drywood termites from a structure. 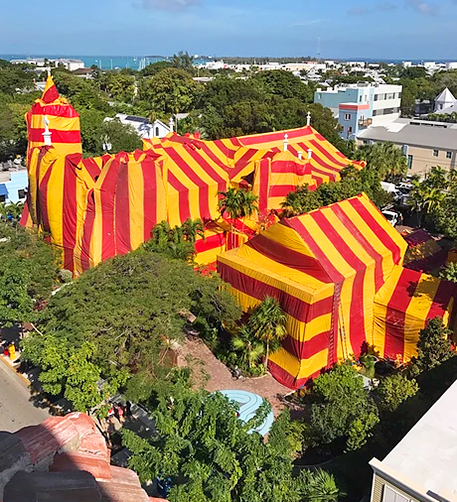 Fumigation is a highly technical procedure, which involves sealing the structure with gas-tight tarps then releasing a gas fumigant inside of the sealed structure. We use high-quality machines known as RDA (Remote Data Acquisition Fumiscope). This is a machine that measures the concentration of Vikane fumigant, and this machine can be left at the structure that is being fumigated and be accessed remotely online. The benefit of this is knowing that you have killed the termites all the way. When the process is completed, the home will be ventilated to certify that no fumigant remains. We then use equipment that can detect the gas down to one part per million and this used to ensure that the air inside the home has returned to normal and is safe to enter. Hammerhead Termite Control does more Asian subterranean termite treatments in Key West than any other company. 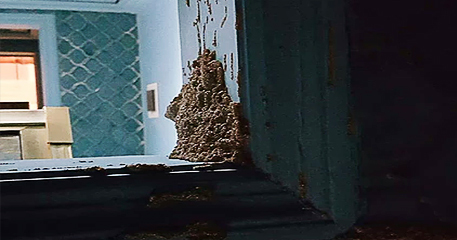 With our substantial experience in treating these highly destructive termites, we have learned various techniques that are needed to eliminate their colonies. We begin with a thorough inspection to identify where they are entering the structure and the location of any above ground nests. Then we place a chemical barrier in the ground between the termites and the structure to be protected and treat any above ground nests accordingly. A WDO (Wood Destroying Organism) inspection report is typically provided when a home or other structure is being sold, and the mortgage lender and/or buyer requires the inspection report as part of the transaction. All of the inspectors at Hammerhead Termite Control are licensed by the state of Florida and have had extensive training along with over 30 years of experience in the identification of wood destroying organisms.